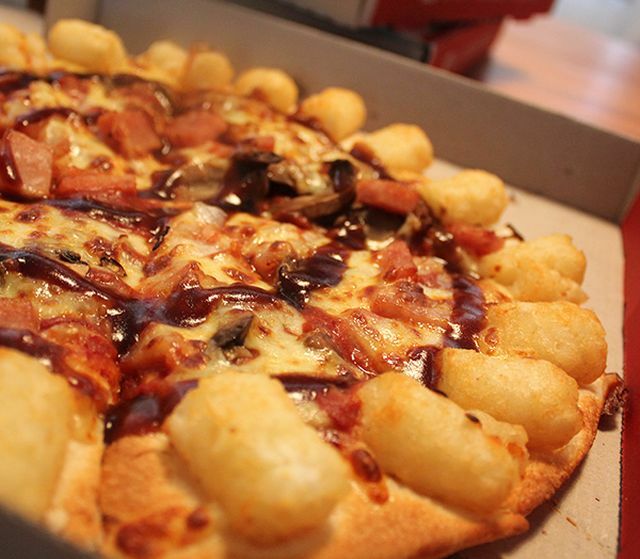 I missed the boat on this one but Pizza Hut New Zealand recently finished up a promotion where they were offering a tater tot-crusted pizza called the "Hash Bites Crust Pizza." From the looks of it, they embedded tater tots into the pizza's crust prior to baking. It was probably easy to execute as Hash Bites (their name for tater tots) are regularly offered as a side on the Pizza Hut New Zealand menu. The pizza crust was introduced about two months ago and cost an additional $3 NZ (~$1.95 US) on a large pizza. The price was just a little less than ordering Hash Bites as a side. So it's basically a choice between getting tater tots with your pizza or on your pizza. While I find both equally strange, I find meat and cheese on pizza crust more appealing than potatoes on pizza crust (even though I love tater tots). Then again, like in England, the chip butty (French fry sandwich) enjoys some popularity in New Zealand. 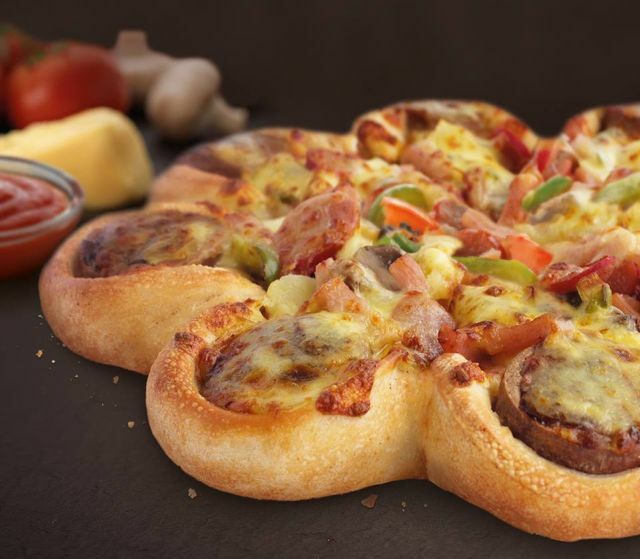 Photos via Pizza Hut New Zealand.